December 13, 1939 Frank L. Mingo, advertising executive, was born in McComb, Mississippi. Mingo earned his Bachelor of Science degree from Roosevelt University and a Master of Science degree in advertising from Northwestern University. After graduating, Mingo went to work for J. Walter Thompson where he became their first black account executive with clients that included Oscar Meyer and Sears Roebuck. Mingo next moved to McCann-Erickson as a vice president and account supervisor. In that capacity, he helped Miller Brewing Company introduce their Miller Lite to the market. In 1977, Mingo co-founded Mingo-Jones Advertising with clients that included Walt Disney Productions and Westinghouse Electric Company. In 1986, Jones left the firm and it was renamed The Mingo Group. 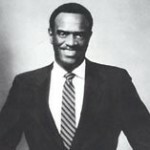 Mingo also worked with the NAACP and the National Urban League to expose minorities to careers in advertising. Mingo died October 30, 1989 and was posthumously inducted into the American Advertising Federation’s Hall of Fame in 1996.